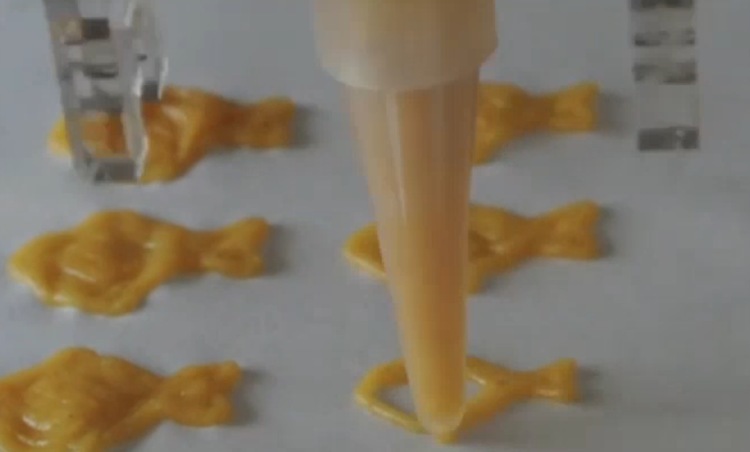 We’re watching a short video from MSN/CNN entitled, “3D Printing to Revolutionize the Food Industry”. We disagree. Speed. 3D printing is very, very slow, which is not a good attribute when you’re hungry. Imagine waiting for a print of your dinner for six hours? Certainly some dishes do take that long to prepare or longer, but remember the current slate of food printers do not cook the food, they merely arrange it for cooking, with the exception being certain items such as chocolate that can be immediately consumed. Speed is a critical element not only in consumer kitchens, but also in commercial kitchens. Cost. 3D printers can cost more than your average kitchen appliance, although they are possibly affordable by commercial kitchens, so long as they can produce product with sufficient speed to be cost effective. Materials. The range of materials usable by current food printers is quite limited, as are all current 3D printers. Worse, most food dishes are composed of many different food materials mixed together in useful and sometimes complex ways. This is not a capability available in current food printers.